It is imperative to understand that corporations need banks to fund their fossil fuel projects, but banks do not need fossil fuel projects to make a profit. Kill the funding and kill the pipelines. Over the Summer, our coalition of grassroots Indigenous groups from across Turtle Island joined the 121 First Nations and Tribes united by the Treaty Alliance Against Tar Sands Expansion, to launch a new, integrated divestment campaign against the banks funding Dakota Access and all four tar sands oil pipelines currently proposed out of Canada. We collected over 100,000 signatures on the petition for this campaign, and delivered them to banks throughout the Summer months. In Seattle, we have been shutting down banks. We targeted JP Morgan Chase specifically and demanded that they either not give loans to Tar Sands pipelines, or we would shut them down. To date, we have shut down several dozen branches throughout the city resulting in lost revenue for the bank. Previously, we organized a campaign to get the City of Seattle to divest, resulting in the divestment over $3 billion from Wells Fargo. Other cities are following. Our momentum is building and our new goal is to get the city to cut ties with Wall Street altogether and develop its own public municipal bank. 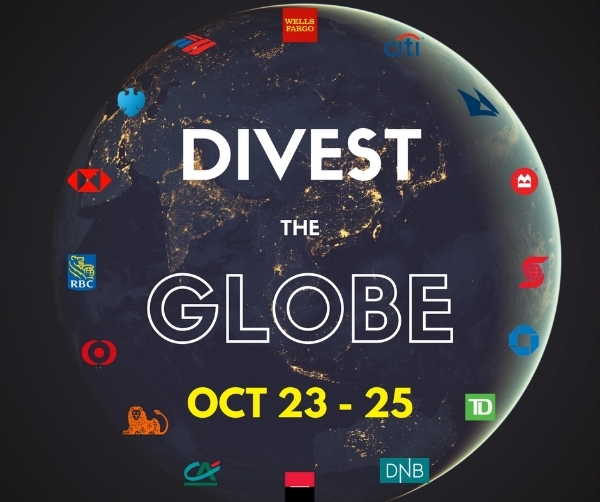 Our group Mazaska Talks is currently planning for Global Days of Action to “Divest the Globe” October 23-25. We are organizing with people all over the world to disrupt business as usual for these banks. 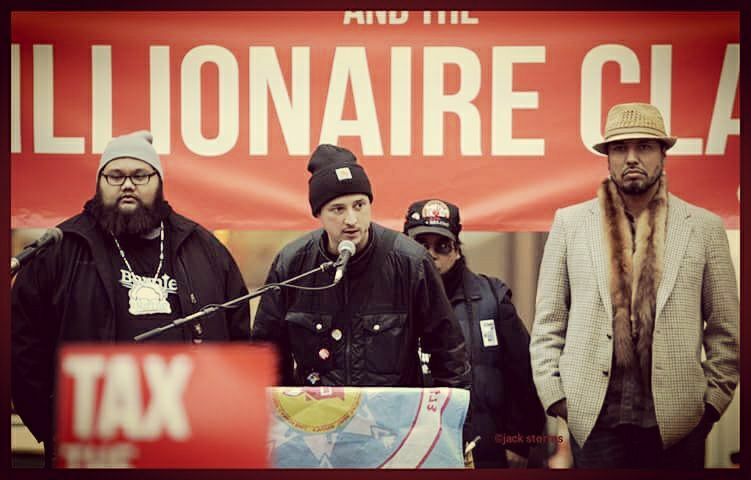 The Mazaska Talks website (“mazaska” is Lakota for “money”, an homage to the resistance at Standing Rock) is a centralized resource for this campaign, with detailed financial data as well as tools for taking action. The Tar Sands campaign targets all 64 banks that currently provide financing to Energy Transfer Partners or the three companies proposing new tar sands pipelines: TransCanada (Keystone XL and Energy East), Kinder Morgan (TransMountain Expansion), and Enbridge (Line 3 Expansion). A list of primary targets includes the 17 banks that fund all of these companies, as well as the convenors of major multi-bank credit facilities: Bank of America, Bank of Montreal, Barclays, BNP Paribas, CIBC, Citi, Crédit Agricole, Credit Suisse, Deutsche Bank, JPMorgan Chase, Mizuho, MUFG, RBC, SMBC, ScotiaBank, TD Bank, and Wells Fargo. 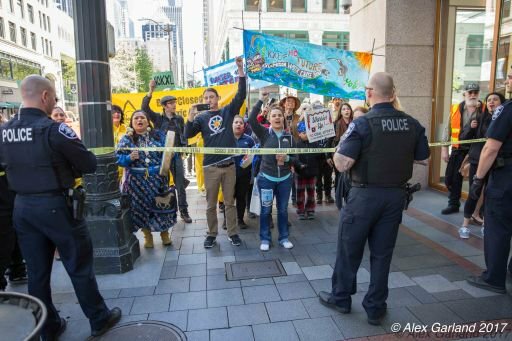 So far, the divestment movement launched during the #NoDAPL resistance has successfully withdrawn Billions from DAPL-funding banks, including money from 3 major US cities and over $80 million in individual accounts. Three European banks have sold their shares of loans to the pipeline company in response to public pressure – DNB of Norway, ING of the Netherlands, and BNP Paribas of France. This entry was posted in Events, Visionary Leadership and tagged Dakota Access Pipeline, Divest the Globe, Divestment, Jackie Fielder, Last Real Indians, matt remle, Mazaska Talks, Rachel Heaton, Tar Sands, Wall Street by lrinspire. Bookmark the permalink.